The following verses and surahs of Quran shall be written in International Istanbul Classic Arts Competition calligraphy branch. The artist is allowed to write any of the following 7 verses. There is no limitation on design. Celi Sülüs may be written in any font size (thickness) that the artist deems fit. It may be written in round, müsenna (in two parts) or in any other form, or as a line. 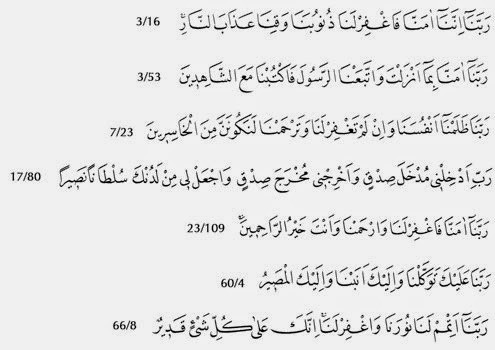 All of the applicable surah will be written in one page. The artist is entitled to write any of such three surahs. 3 ines including basmala shall be written as sülüs as the remaining part will be written in naskh calligraphy. There is no limitation as to the subject. It is allowed to submit any work in all qualified sizes. The subject shall be on a story related to Uskudar. The artist is free to choose the any subject. The artist is entitled to elect any place or architectural work relayed to any known story or any place related thereto, or it may produce a work by interpreting an event or literary work. It is allowed to submit any work in all qualified sizes. The book cover to be consisted on front – back cover and separator part of the left corner with a design not applied before. It is allowed to submit any work in all qualified sizes. The unique designed works with Uskudar subject in which Classical Turkish Ceramic glaze art techniques and styles are applied shall be accepted. The works may be applied on boards or 3-D objects. It is allowed to submit any work in all qualified sizes. Prizes shall be given to the winners (first rank), runner up (second ranks), third ranks, in addition to 3 encouragement awards. If the Jury will not find any work worthy of being winner then no prize will be given for winner at the applicable category; If the Jury will not find any work worthy of being second rank then no prize will be given for second tank at the applicable category; and If the Jury will not find any work worthy of being third rank then no prize will be given for third tank at the applicable category. The works of those granted with prizes shall be retained by the Competition Administration as other works will be returned to the artists. The Competition Board may not be held liable for any work which will not be taken from the competition secretariat within 1 year from announcement of the competition results. The artists receiving any prize shall also be entitled to a Certificate of Appreciation. There is no limitation on number of competitors and work of art to be given by one competitor. Any competitor may submit more than one works, or more than one competitors may submit only one work of art. Similarly any competitor is entitled to submit works in calligraphy-katı, marbling-ornamentation, calligraphy-ornamentation-marbling-katı branches. Only his calligraphy or ornamentation or marbling shall be evaluated. Since it will be deemed that any work of art entitling to any prize shall be deemed as purchased by the competition administration with all rights; it is compulsory that the artist to compete in the competition shall have all title and rights on all of the work of art to be submitted. There is no limitation as to the size of the works. Each work in all sizes shall be accepted. The works shall be delivered by the artists without any signature thereon. The technique and material to be used in the works to be submitted to the competition shall not preclude its acceptance. However, they shall be considered in evaluation. The works to be submitted to competition may not be reproduction, imitation or previously exhibited ones. The works may be submitted in murakka, attached on a cardboard without acid or in paper or in roll. Any negative occurrence which may occur in submission of the works to the competition secretary shall not be under the liability of the Competition Administration. The competitors are obligations to sent the works to the contact address in robust manner. The competitors are required to give their contact information and communication details (e.g. telephone, fax, e-mail etc.) in written together with the works to the secretariat of the Competition. Each competitor is required to complete the form at www.7tepe7sanat.com. The owner of the works submitted to the competition hereby agrees and undertakes that he agrees all specifications and rules and shall perform any requirements. The competitors shall be deemed as he transferred all financial and intellectual property rights related to the work entitling to any price including the title and other rights thereon, without any consideration or price, excluding the applicable price, to Turkish Arts Foundation. Turkish Arts Foundation is entitled to any and all rights of the works as to their processing, reproduction, copying, printing, publishing in video and electronic environment, catalogue making, album making, publishing them in a book, exhibiting them in the national and international events. The Foundation is entitled to transfer the cited rights to any third parties without any limitation on place and duration. The works entitling to any reward shall be published in album form. Prizes shall be given to the owners of the works in a ceremony on the date to be announced after conclusion of the competition. The communication details submitted by the competitor in written shall be considered in any communication to the competitor. Any change in the communication details shall be notified to the competition secretariat without wasting any time. Any negative occurrence which may occur in submission of the works to the competition secretary shall not be under the liability of the Competition Administration. At the common meeting of all juries in all branches, the principles and rules to which the works shall be evaluated shall be decided. The evaluation principles of the competitions organized until now shall also be considered in such meeting, forming an applicable and deducible infrastructure. The competition shall be announced after the iftar dinner at Cemile Sultan Koru on 19 July 2014, before the guests consisting of the artists. The announcement of the competition shall be conducted with a dinner meeting with large involvement, press media entities, announcements and posters, and the website of the competition. April 1, 2015 is the latest submission date of the works. It is required to submit the works to the competition secretariat until such date. No work to be submitted after April 1, 2015 shall be accepted. The Jury shall meet until 1 May 2015 for preliminary evaluation of the works and for completion of the preparations by the competition secretariat. Announcement of International İstanbul Classical Arts Competition results shall be conducted through 7tepe7sanat.com, telephone and e-mail, and the applicable persons shall be notified. Prize ceremony shall contain an exhibition in which all works entitled to any prize will be exhibited, a seminar on art and offerings, to which all artists shall be invited. The results from the past and existing art competitions imply that a different application shall be used about jury. The juries shall be established within 1 week from completion of the preparations of the competition by the secretariat after the final submission date of the works for 7tepe7sanat International İstanbul Classical Arts Competition. The fundamental rule in establishment of the juries is that no manager, employee, teacher, student of Uskudar Municipality and Turkish Arts shall be included in the juries. They may only have observers.